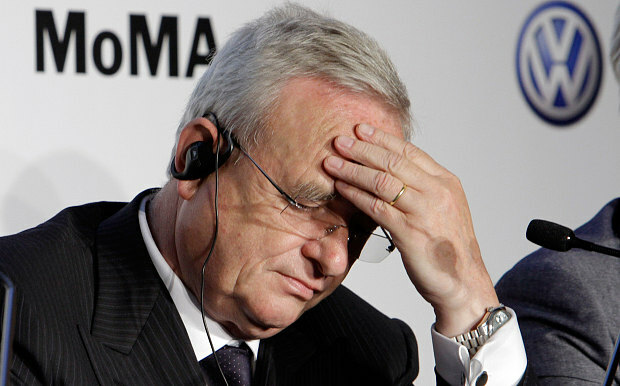 The air I breath you too breath the same so does the ex-CEO of VW Martin Winterkorn. Recently, there was a huge issue of VW vehicles cheating emission testing, it resulted in heads being rolled and stock price plummeting. What Volkswagen did was – it programmed its models starting 2009 till 2015 such that during US standards testing (NOx) were met only during laboratory testing. According to Wikipedia the NOx emissions during normal driving was ~35X higher. roads! @TrafflineMUM so pathetic conditions in one rain.. The point I am trying to make is – the constructors of Mumbai roads are driving their vehicle on the same road, the employees of VW are also breathing the same air which is polluted by their vehicle. Similarly, Toshiba employees must be holding shares of Toshiba! Who are they trying to cheat? And why? Wish these people who are involved in such activities realize that they are effectively cheating themselves too. If they do world would become little better. I am sure some or the other interest groups, political circles must be pickin’ and grinnin’ and enjoying those events – VW and Toshiba. Wonder if those pickin’ and grinnin’ now would help improve the overall system instead of being selective. The topic of LBC was pickin’ and grinnin’ (Generally, I change topic of LBC) suggested by Lin for the weekly Friday Loose Bloggers Consortium where currently eight of us are supposed to write on the same topic every Friday. The seven other bloggers who are expected to write regularly are, in alphabetical order, Ashok, gaelikaa, Lin, Maxi, Padmum, Rummuser and Shackman. Do drop in on their blogs and see what their take is on this week’s topic. Since some of them may post late, or not at all this week, do give some allowance for that too! Related blogs – Games Indians play. Interesting how you have taken pickin and grinnin phrase to tie up with your own take on ethics! Thank you so much Lin. Read this – http://business2buddha.com/2014/09/26/random-act-of-kindness/ we all must try some random act of kindness (not necessarily related to $$ but anything). What say you?